Workshops and Tours with AIPP* Accredited Professional Photographer Mark Rayner - New 2018 and 2019 Workshops available for booking. 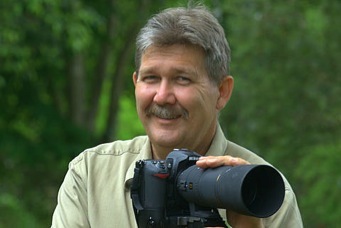 Mark is a Fully Accredited AIPP Professional Photographer who lives near the Sunshine Coast in Queensland. He has been an avid photographer since his early teens and his enthusiasm and passion for image making now, many years later, is unchanged. Macro and landscape may seem at opposite ends of the photographic spectrum but Mark's results are testament to his skill in these areas. Leading photography workshops and tours throughout Australia and overseas has given Mark the opportunity to visit amazing locations and feed his passion for photography. Mark’s work is as diverse as it is creative including surreal landscapes, wildlife, insects, flora and fauna whilst keeping in touch with people through street, wedding and portrait photography. A pre-requisite for good imagery these days, Mark is also skilled in digital workflow and post-processing of photos as well as being accomplished in the use of Lightroom and Photoshop. Mark loves helping people with their photographic pursuits and draws on his vast wealth of accumulated knowledge to ensure you learn what's needed to improve. He will be happy to share his experience with you and bring out the best in your photography, whether you own a simple “Point and Shoot” digital camera or a sophisticated digital SLR. Please visit Mark's business website, Tailored Photography to view more of Mark's photography.